Due to the large amount of space to manage and the limitation of available resources, the City Council carried out in 2013 a strategic division of the municipality in 7 districts. As it has been said, in Detroit there are countless of inactive spaces in the city that have the potential to become opportunities areas. These spaces represent opportunities for the interaction and collective development of the city. Based on the division of districts, the project proposed the incorporation of a decentralized network for management, exchange and distribution of the resources of the city, in favor to the local needs of each neighborhood. This map shows graphically the appearance of this new decentralized network in Detroit, making the urban project an instrument of knowledge and negotiation. Final Thesis presented at Escuela Técnica Superior de Arquitectura de Madrid (ETSAM) in September of 2016. 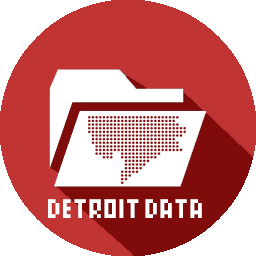 This project is part of an extensive and complex research that seeks alternatives to understand and intervene in the reality that Detroit lives today. This city has shrinking since the 1950s and it had produced a unique landscape with more than 105,000 empty lots, 50,000 abandoned houses, and more than 30 square kilometers of underutilized land. The main purpose of the project is to reorient Detroit’s future by reconnecting the urban fabric and boosting the city’s own identity through the interaction with its citizens. The project pretends to offer a global intervention in the territory according to the context of emergency and precariousness that suffers.